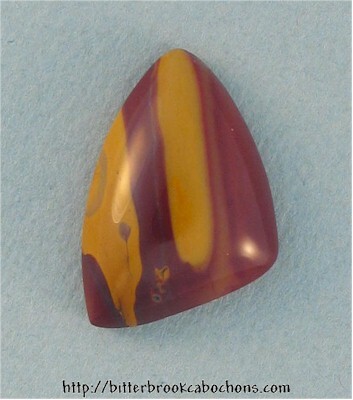 Cute little Mookaite cabochon! I sealed a couple of small fractures in this one. There is a small vug on the bottom edge (does not show from the front) which I did not seal. 23mm x 16mm x 6mm. Weight: 14.50 carats. Do you like Mook Jaspers? Click here to see all of the Mook Jaspers on the site! You are visitor number 29 to this page this year.